If you can’t make any of those dates, come along any Wednesday between 6.00pm and 8.00pm for four free sessions. Cup of tea at 7.00pm! periods. Come along and give us a try! Would you like to join us for a game of Outdoor bowls? We are often looking for new players, that's anyone who has not played outdoor bowls before and would like to give it a try, or anyone who has played bowls before for another club and wants a change. The age range of the club is 18 - 80+, and anyone can apply to join - ladies and men, whether single, or with a partner - all are welcome. We are Belvedere Social Bowls Club from North Kent, and some players are also members of Belvedere Social Club (C.I.U. affiliated). The Bowls Club play their home fixtures at West Heath Recreation Ground, Heath Avenue, Bexleyheath DA7 5RT. There is an entrance to the park in Clovelly Road DA7 5RQ as well as the entrance in Heath Avenue. There is on street parking available in Heath Avenue. 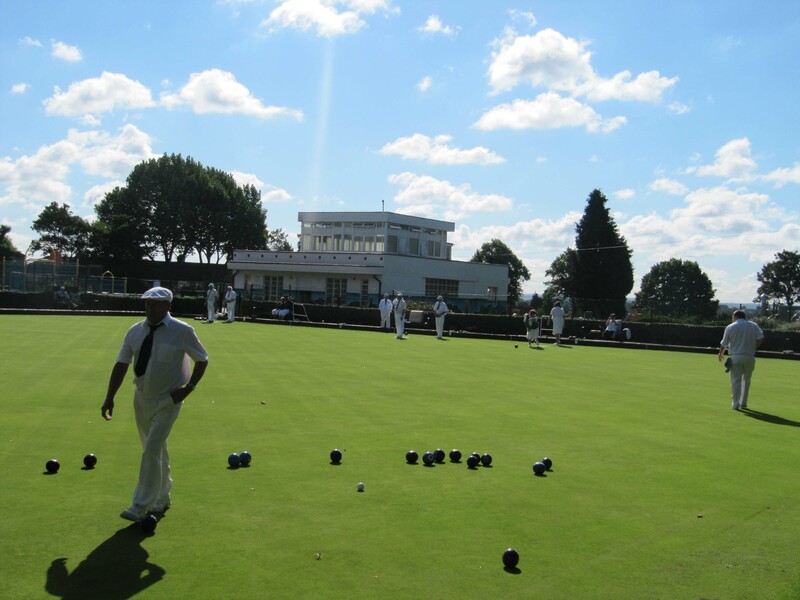 Our Bowls Club is small and friendly, having around 50 members. Currently, all of our matches are mixed (men and ladies together). All these matches are friendlies played against other bowls clubs in the area, they are usually played at the weekend in the afternoon starting about 2:30 p.m. and finishing around 6:00 p.m. There must be hundreds of people who would like to know more about Lawn Bowls so that they can decide for themselves if it's something they would like to do. This website has been set up to do just that. We would like you to join us at Belvedere Social Bowls Club so have a read through and see what you think. Would you like to have a go for free? We meet up at the Bowls green each Wednesday (from May to September) at 6:00p.m. for a practice/coaching session. Anyone considering playing can come and join us for four free sessions, without paying a penny, to see if lawn bowls is for them. We provide any equipment that is needed for your practice sessions,but please wear flat shoes (no stilettos!). There is also an open day where you can come along and have a go. See Contacts for location of green and date of open day. If you can't make the open day or a Wednesday evening, just contact the club and a convenient time and date can be arranged for you to have a go. Change your view of Bowls! Bowls can be played by anyone and by all ages. Like many games, the object of Bowls is essentially simple, but to be able to play consistently well demands determination, concentration and practice. Bowls is not only a sport, you can also have a varied and very active social life. Bowls is the ideal sport for meeting new people, socializing and meeting new challenges head-on. Bowls is a sport for life, just try it! Bowls improves your general health by providing an opportunity for regular exercise.